Smart Energy group, following the results of drilling and overhaul projects, has reached the daily production of natural gas in the amount of one million cubic meters (mcm), the press service of the group has said. Among the successful well overhaul projects, Smart Energy noted the decommissioning of well No. 1 in Ostroverkhivske gas condensate field (Kharkiv region), located in the license area of Ukrgazvydobuvannia. As reported, in 2019 the group plans to invest about UAH 1 billion in the increase of natural gas production. 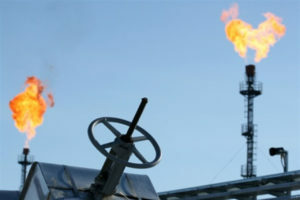 Earlier, in January 2019, the group announced that it had reached a historic daily maximum of 960,000 cubic meters of gas. Smart Energy is a management company that is part of Vadim Novinsky’s Smart-Holding. It is engaged in the implementation of projects in the field of hydrocarbon production and alternative energy. The National Commission on Securities and the Stock Market has signed a memorandum of cooperation with the European Federation of Energy Traders (EFET) on the development of commodity markets for energy products and financial instruments markets, on which energy products are the basic asset. According to a press release of the commission, the parties will cooperate in developing new securities and bankruptcy legislation that will provide the netting of commodity derivatives and the effective protection of netting in operations with such products such as natural gas, electricity and the like. “Now energy companies and producers operating in the Ukrainian market do not benefit from liquidation netting when implementing agreements and must make prepayment for the supply of gas when dealing with counterparties with the EU. This situation does not contribute to the creation of a highly liquid energy market in Ukraine similar to the markets of the EU countries. Therefore there is the need to improve the domestic legislative framework and implement relevant EU directives,” the press release noted. According to the commission, the norms on the introduction of liquidation net settlement of derivatives are already contained in draft law No. 7055 on capital markets and regulated markets. EFET unites European energy traders working in wholesale electricity and natural gas markets. The federation was founded in 1999 in response to the liberalization of European electricity and gas markets.